BitSight relied on a key piece of software for business. As the number of software users grew, the complexity of deploying, managing, and maintaining a VPN infrastructure became a big, ongoing headache for IT. 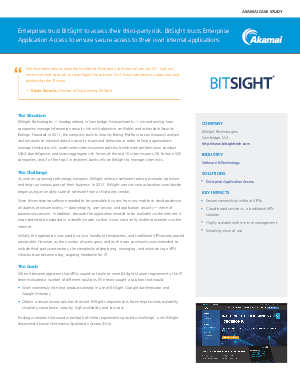 Read the case study to see how Akamai helped BitSight solve their access issues.